There are many ways to improve your SEO, or search engine optimization. However, one of the best ways to do so is to implement audience segmentation. 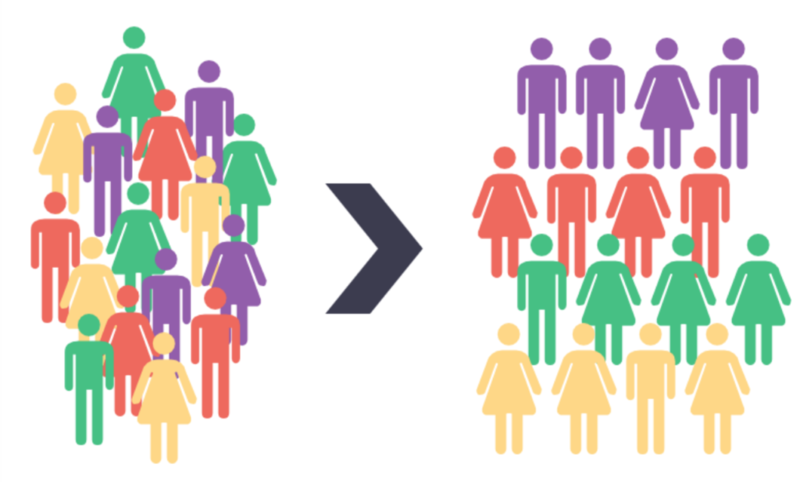 Audience segmentation allows you to target specific groups of people that may have a particular interest in your site. In addition to this, it can help you decipher the geographic location of your site users as well as the device that they are using to access your site. This can positively influence and improve your understanding of your audience and help you connect with them more efficiently. How should I segment my audience? Traffic source: Segmenting your audience by traffic source will allow you to identify where users are coming from and how they are finding your site.For example, site viewers may be directed to your site via paid, organic, direct, or referral traffic. Once you identify where they are coming from, you will be able to optimize your presence in that particular traffic segment. User type: Knowing how many visitors your site receives is important, however, knowing the types of visitors your site receives is ten times more valuable. User type segmentation will allow you to understand how many new and returning visitors your site receives, as well as how frequently or infrequently they visit your site. This can give you useful insight regarding the relationship your site visitors have with your brand and online presence. Location: Identifying the geographic location of your site viewers can strongly improve your understanding of user demographics. This will enable you to target specific regions both by tailoring your product to the societal norms of that region, and by directing your online advertisements. Content Viewed: Understanding the onsite activity of your users is extremely important because it allows you to identify which users are actively searching for a specific product and which users are simply browsing. It can also uncover your most viewed page which can help you to optimize that specific page. In addition to optimizing your most popular page, content segmentation can give you insight into your least viewed pages so that you can analyze and improve their ratings. It can also show you which site users visited the shopping cart or checkout page and which users simply browsed. Engagement: Segmenting by engagement can help you distinguish how important or appealing your content is to your viewers. If you can identify a specific page with a high bounce rate, you can conduct research and analysis in order to understand and improve audience engagement levels. Similarly, segmenting by engagement will allow you to recognize how many pages each viewer visits on your site. Product viewed: Lastly, you can segment your audience based on which products they viewed or purchased. This can help you identify your customer segments based on their personal preferences; which will give you quality insight for improving your relationship with specific consumers. If you want to narrow down your segmentation even further, you can segment your audience based on specific product colors or sizes. Improving your relationship with consumers will increase the likelihood of solidifying their loyalty to your site. Audience segmentation can greatly improve your search engine optimization and increase the popularity of your site. The types of audience segmentation you use is entirely up to you, however, the more you know about your site viewers, the better your understanding of their preferences will be, and the better your site will be because of it.